Russell Crowe day out with kids! 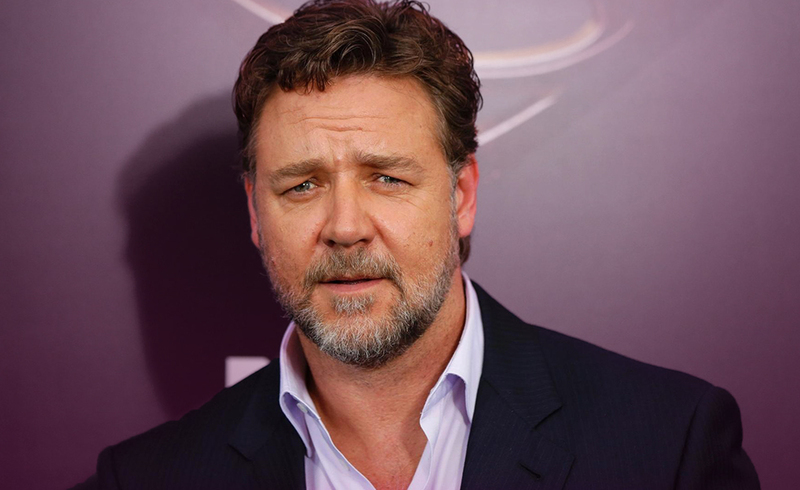 Hollywood actor Russell Crowe has been spotted out and about with his two sons. The Rugby Club owner enjoyed some father-son bonding on their day out as they lunched and played basketball together. 51-year-old Russell proved that age is just a number where playing with the kids is concerned. Although Russell separated from his estranged wife Danielle Spencer four years ago, he is reportedly still coming to terms with the fact that her new partner appears to spend more time with his kids than he does. Evidently, Russell is staying close to his sons geographically since there are no major projects for him right now. I’m sure that Russell understands that it’s healthier for the children to have a positive relationship with their mother’s new guy since he will be a major presence in their lives. Sometimes Dad’s may try to complete with the new guy but Russell’s focus seems to be on the kids rather than a personal agenda. The New Zealand native appeared to enjoy flexing his ‘daddy muscles.’ Well done Russell for being a great role model to his kids. Let’s see what the cards say today. Russell drew the Moon, the Eight of Wands and the Ten of Hearts. The Moon represents fear of the unknown. It is human nature to want our children to thrive in the best and most healthy environment. Despite any personal concerns, Russell has separated illusion from reality and understands that his energies are best served focusing on his sons rather than squandering his energies on anxious worrying. The Eight of Wands shows Russell’s proactive energy and enthusiasm towards his kids. Everything feels direct and in motion and he understands that the father-son relationships will thrive on love and support. The Ten of Hearts is the best outcome for Russell’s situation. Although he may not be romantically involved with the mother of his kids, they have works to gain the best co-parenting relationship with each other. Something that many struggle with. There is a mutual respect between Russell and his ex and evidently the co-parenting works due to their own correct actions. Good luck to both on their co-parenting path.